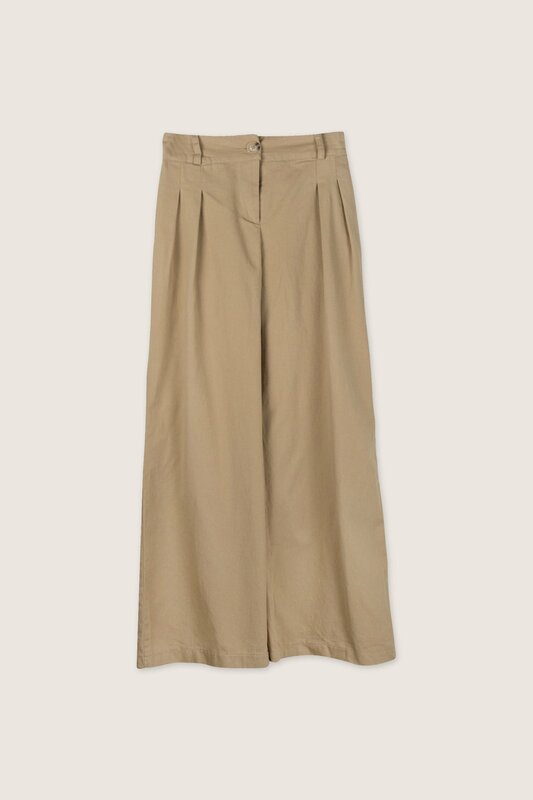 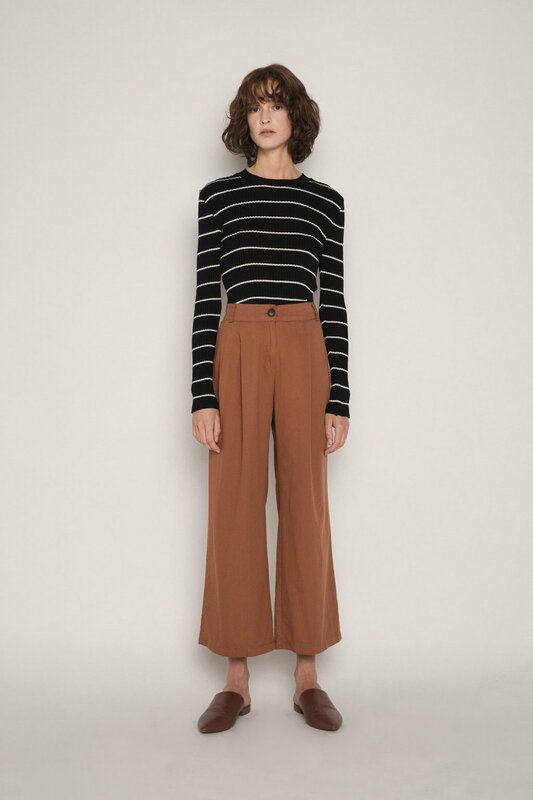 These trousers feature a relaxed straight-leg silhouette with front pleats for a classic look. 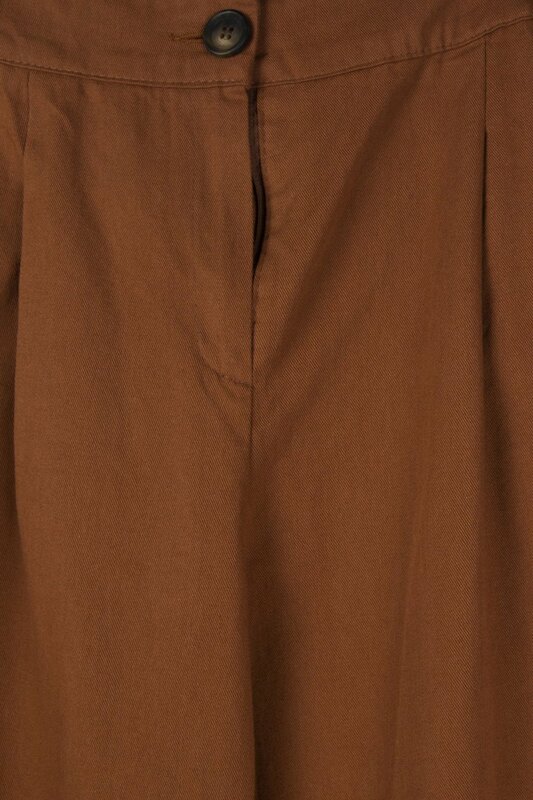 The waistband is elasticized at the back for optimal fit and comfort. 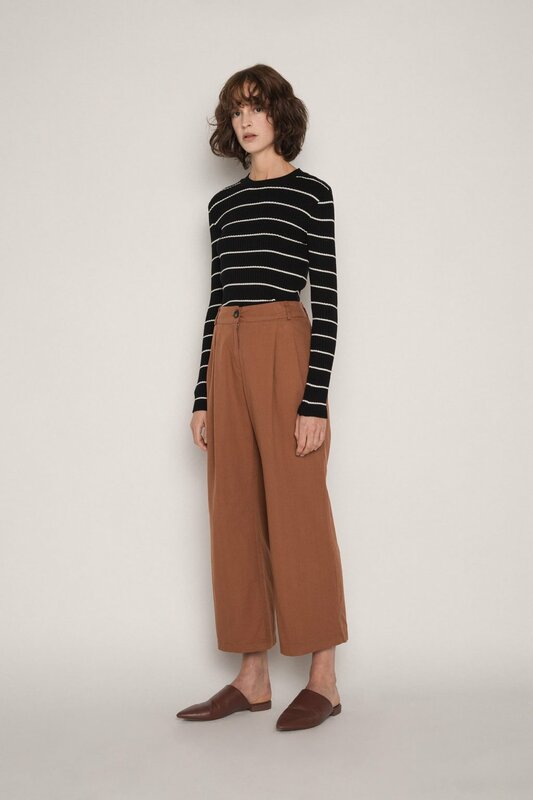 Minimal and versatile in design, these trousers have off a tailored yet casual look perfect for daily wear. 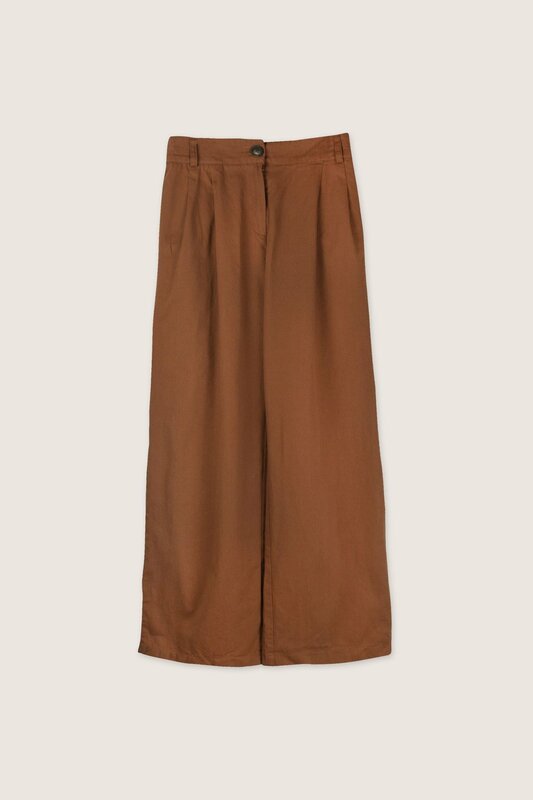 Pair with a turtleneck, denim jacket, and sneakers for an effortlessly chic everyday look.